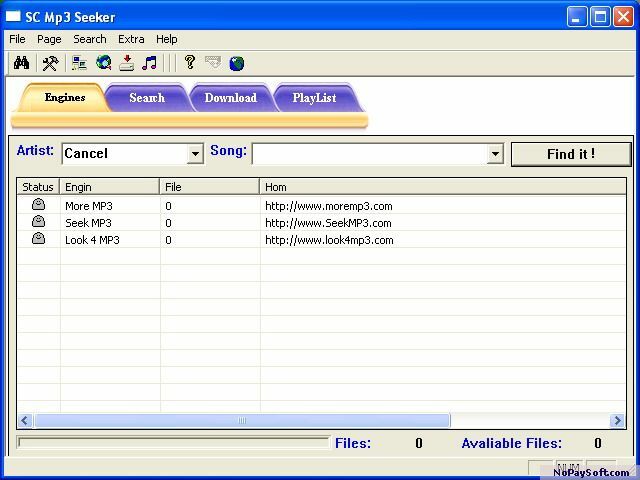 SC Free MP3 Seeker is the ultimate tool to locate and retrieve MP3 files on the net. It uses the top MP3 search engines available on the net today. It not only finds the music you want, it also verifies the search results, lets you download and listen to the MP3 files with a single mouse click. Includes a downloader program that provides a capability to search, download mp3 files. Can search by Artist name, song name or both.